Basil Oil is used in Natural Skin Care Products to Promote Blood Circulation to the Skin. Basil was inroduced to Europe from the East in the sixteenth century as a culinary herb and is still popular with cooks who utilize its sweet pungent flavour. 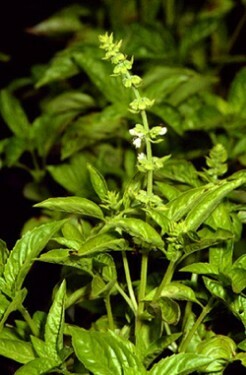 The common name 'Basil' is an abbreviation of basilikon phuton, Greek for kingly herb. Basil is a well-known cooking and garden herb and is part of the Labiateae Family in the plant kingdom. This makes it a relative of other well-known herbs such as Lavendar, Thyme and Sage. Basil oil may be used to reduce nervousness, nervous debility, anxiety and headache and can be found in: Wildcrafted's Refreshing Massage Oil blend & Active Body Massage Oil Blend. When used in natural skin care products, Basil can is a tonic refresher, producing a hot-cold sensation when applied to the skin. Basil oil is thought of a ‘de-toxifier’ as it stimulates sluggish and congested circulation of the skin and can be used for acne and minor skin infections. It is also reputed to have antiseptic value and to neutralise the toxins of bites and stings. Basil has long been held as a notable general tonic, with energising and revitalising properties, promoting feelings of self confidence, overcoming depression, and improving mental clarity and concentration. 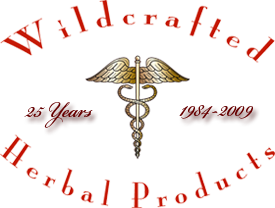 Insect bites, snake bites (first-aid treatment).